Roger Allam and Shaun Evans. (C) Mammoth Screen/MASTERPIECE/ITV Studios. We have spoilers for the third season of MASTERPIECE Mystery’s Endeavour TV show, premiering on PBS, Sunday, June 19, 2016 at 9:00pm ET/PT. 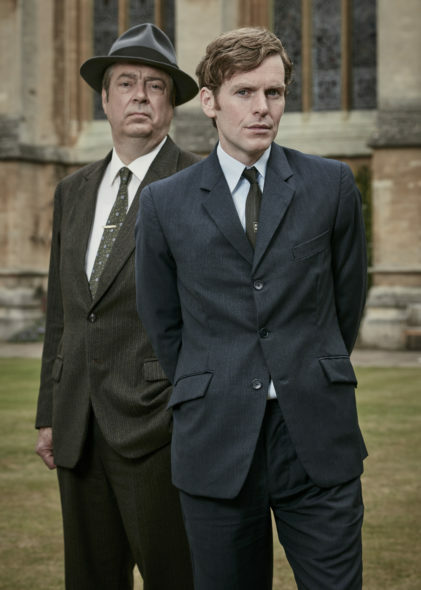 The UK audience does not have have to worry about Endeavour being cancelled too soon, ITV renewed the drama for a fourth season. Will PBS follow suit and pick up Endeavour, season four? When we know, you will. 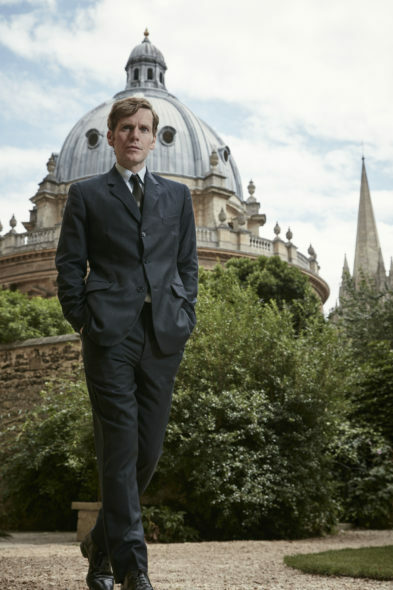 A prequel to the Inspector Morse series which starred John Thaw in the title role, Endeavour stars Shaun Evans as the young Endeavor Morse. Roger Allam also stars, as DI Thursday. The Endeavour cast also includes: Anton Lesser, Jack Laskey, Sean Rigby, James Bradshaw, Caroline O’Neill, and Abigail Thaw (daughter the Inspector Morse star). Endeavor TV show on PBS. Shaun Evans as DC Morse. (C) Mammoth Screen/MASTERPIECE/ITV Studios. Spoiler alert! Check out these episode descriptions for the third season of the Endeavour TV series from PBS. city’s vast parks, Night School and the untamed wilderness of the Oxfordshire countryside. Connected to the investigation is an august family of three troubled siblings. When a suspected link between the au pair’s disappearance and a cold case from years back is unearthed, unconventional methods in that investigation created fraying tensions across the police force. As the body count rises, Endeavour deduces that there may be darker forces at play. June 1967. Endeavour is occupied with unexpected strife in his personal life. Recruited by a college mentor to monitor the movements of his estranged younger wife, Endeavour finds himself drawn to the woman he is investigating. The grisly murder of a man who works in fashion causes a shakeup in Oxford’s criminal underworld. Meanwhile, Endeavour considers his future on the force, leading to an agonizing conclusion to the series [season]. Endeavour, Season 3 is a Mammoth Screen and MASTERPIECE co-production in association with ITV Studios. The Executive Producers are Damien Timmer, Dan McCulloch and Russell Lewis. The Executive Producer for MASTERPIECE is Rebecca Eaton. The Writer is Russell Lewis. The Producer is Tom Mullens. The Directors are Sandra Goldbacher (“Ride”), Bryn Higgins (“Arcadia”), Lawrence Gough (“Prey”), and Olly Blackburn (“Coda”). What do you think? Are you a fan on the Endeavour TV series? Should PBS cancel Endeavour or renew it for a fourth season? I love the Endeavor PBS mystery series. I hope it will continue for many seasons to come. Excellent writing and acting. Just wich we didn’t have to wait so long between seasons!! Please jeep Endeavor series…among the best ever mysteries. Currently the very best nothing compares to the intrigue & mystery. Outstanding. I love the show and hope it’s picked up for 4th season! It’s so well written and so awesome to watch! It’s so refreshing to see television like this! It thoroughly engages the viewer, the acting is superb, and the plots are “to die for”…no pun intended. PLEASE keep this series alive for many many many seasons to come! This is one of the very best series ever. It definitely must return. I find the series very intriguing and engaging. Please renew it.